We had a nice rally up for many weeks and now Dow is at resistance area. Right now it is consolidating rather than selling off and that is a good sign. Despite the US government shut down, the fact that Dow is still able to consolidate shows us that market participants are not selling yet. 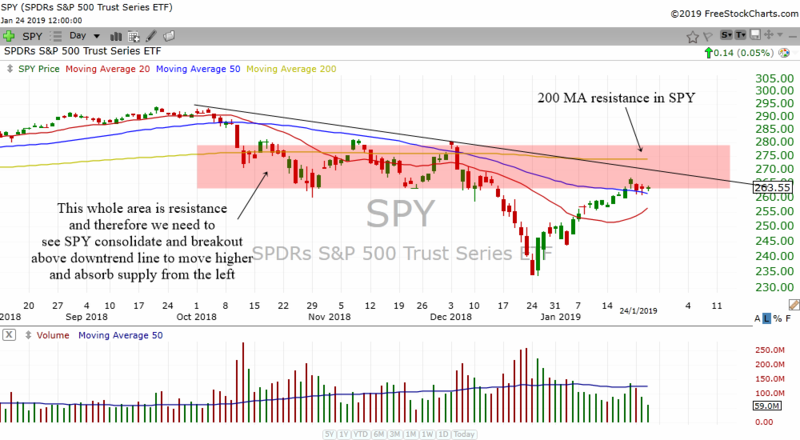 Resistance areas can be a tough area for the market to overcome and thus a sideways consolidation is good to take away the supply that is present in these areas. Once there is enough consolidation, the market may breakout higher. Let us take a look at what the charts are telling us. The above is the daily chart of Dow futures. The whole red area is a potential resistance area and this supply needs to be absorbed. A consolidation here and then a break above the downtrend line will be good for the market. The weekly chart of Dow Futures tells us the importance of the market breaking above a downtrend line. SPY is also at resistance area like the Dow and it needs to trade sideways a bit to absorb the supply. 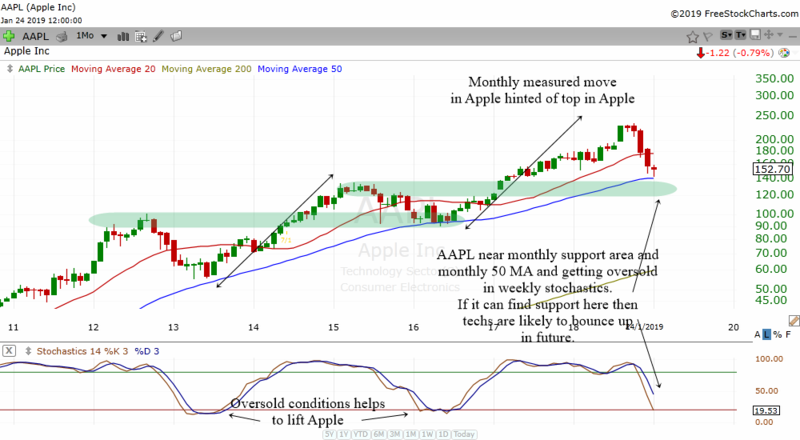 Apple has had a big sell off but it is trading near a support area in the monthly chart. Plus the stochastics is getting oversold and it is near the monthly 50 MA. A reversal near this area will be good for tech stocks and the market as a whole. 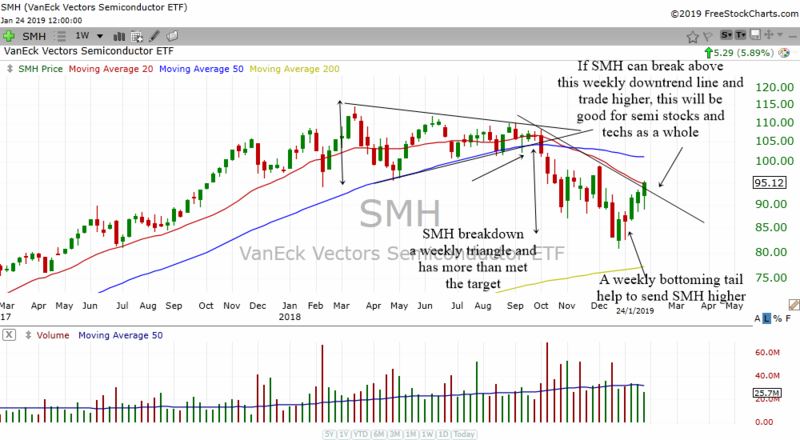 The weekly chart of SMH shows us that semis are trying to break above a weekly downtrend line. If it can continue to rise, this will be good for semis and tech stocks.